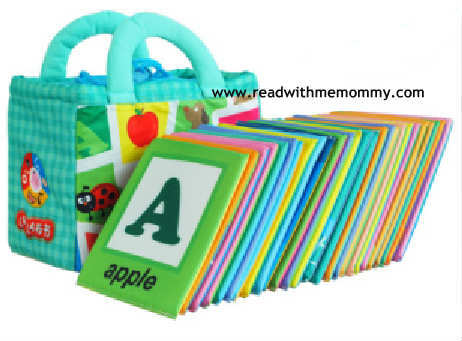 Cloth Books - Alphabets is a ideal first book for your baby. 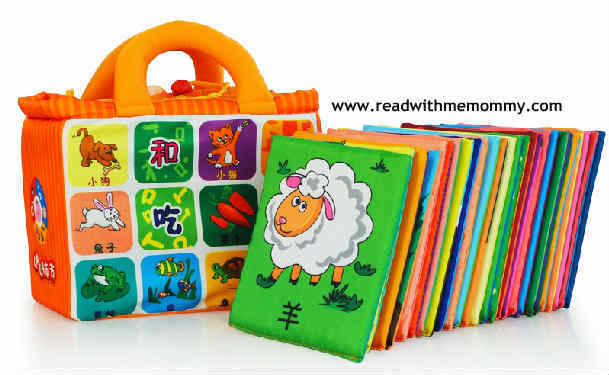 It comes with a cloth holder for parents to keep the 26 cloth books intact. Each set comes with 26 English alphabets. For example, when introducing Letter C, one side of the "book" shows the alphabet C in large font, and the reverse is a picture of a Cat. Parents can use this cloth books to introduce the basic English alphabets to their baby, and not having to worry about torn pages. Each set measures 14cm by 17cm by 11cm. Recommended for 0-3 years old. - Clean the surface with a piece of cloth. - Hang dry in a well-ventilated place. Do not bleach or tumble-dry.